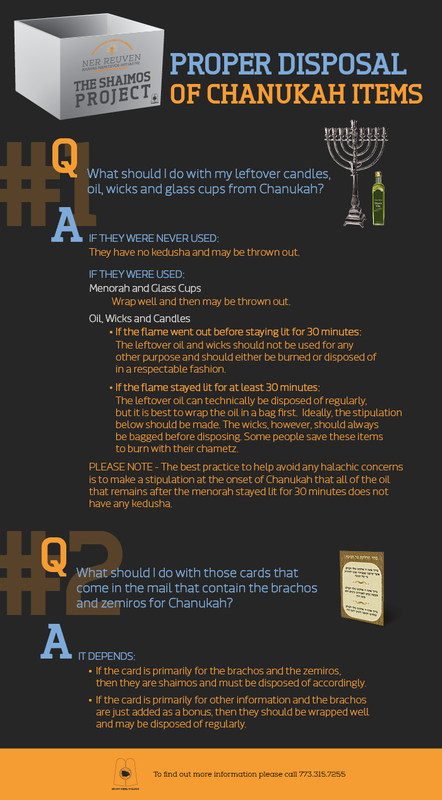 Currently viewing the tag: "Chanukah"
Part of “The Shaimos Project”, a division of the Ner Reuven Ahavas Hamitzvos Initiative. This new initiative from the Midwest Agudas Yisroel Council of Synagogue Rabbanim is thanks to the vision of Mr. and Mrs. David and Chaya Tova Hartman and has been dedicated in memory of their grandfather Mr. Reuven Brand. The intent of this initiative is to raise the awareness, appreciation and observance of our beloved mitzvos.